Maid servant to Maids service: Anuradha, who lives in South City I, Gurgaon, pays Rs. 20,000 a month for the services of two employees of The Maids’ Company – one for twelve hours a day and another for six. If the maid is going to be late, she gets an SMS. The maid gets one day off every week. If a maid is absent any day, she gets a replacement. This is what Hindol calls – a complete renegotiation of social contract of domestic labour. Maids’ Company employees are regularly beaten by their husbands at home. The company employs a full-time nurse and has two rooms on top of the office for such women to stay for a day or two when they are thrown out of their houses. Where does it get money for these activities? The Maids' Company, started by Gauri Singh and Indu Bagri, has 20 percent of its equity in a reserved pool that is owned by a cooperative trust of the workers. The equity supports various welfare activities. Getting out of the worst kind of catch-22: 750,000 odd manual scavenger families live the worst kind of life across India. They hand-pick human faeces and carry it in a basket. They have virtually no interaction with anyone who is not a scavenger. Project Azmat developed by Safai Karmachari Andolan and Shri Ram College of Commerce has identified 20 scavenger women from the village of Nekpur in Haryana and turned them into entrepreneurs. They make detergent which is sold across Delhi with the brand “Neki”. Apart from money the work has given them social dignity missing for generations in their community. People in the village have started inviting them into their house. The book presents these and many more inspiring stories of social change through enterprises and entrepreneurs. It is a must read for anyone who is a serious student of innovation, social change and social entrepreneurship. When I read the story from Gurgaon which Hindol calls – a schizophrenic, dystopian soul of India, a place where everything has gone wrong and right at the same time – I wondered what caused the problems of Gurgaon in the first place? Is it the greed of the enterprises and entrepreneurs? That takes us back to the Gandhiji quote we started with. Which one needs more urgent attention: the need of the needy or the greed of the greedy? I don’t know. Thanks for sharing Vinay ! This book is too anecdotal. 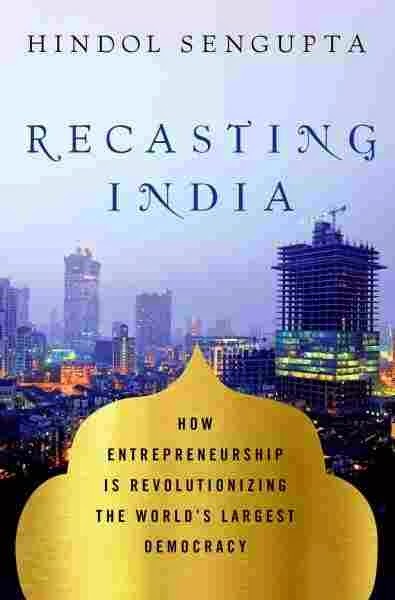 It seems to be written choosing the information to support the idea that India is undergoing a transformation to be more economically successful and up to date. Sounds like some in India are learning what our own government has forgotten - You can't push a rope. Government can't create jobs if there aren't any job creators. But it can absolutely prevent job creators from creating jobs by regulating them to death. Government needs to get out of the way more than it needs to pass more regulations. Our own government can't even enforce the regulations it's already created. An unenforced or unenforceable law or regulation is worse than no law at all.